We are your all season resort vacation destination in Michigan's U.P.! The Timbers Resort offers 11 Housekeeping Cabins. Located on beautiful Lake Gogebic in the Upper Peninsula of Michigan. Join us for some of the fun things we do in Michigan's U.P. Snowmobiling, ATV 4 wheeling, open water and ice fishing for perch, walleye, northern pike, and small mouth bass, black bear hunting, deer hunting, world class grouse hunting, down hill skiing, cross country skiing, hiking trails, waterfalls, and fall colors or just relax and enjoy the slow pace of Michigan's U.P. 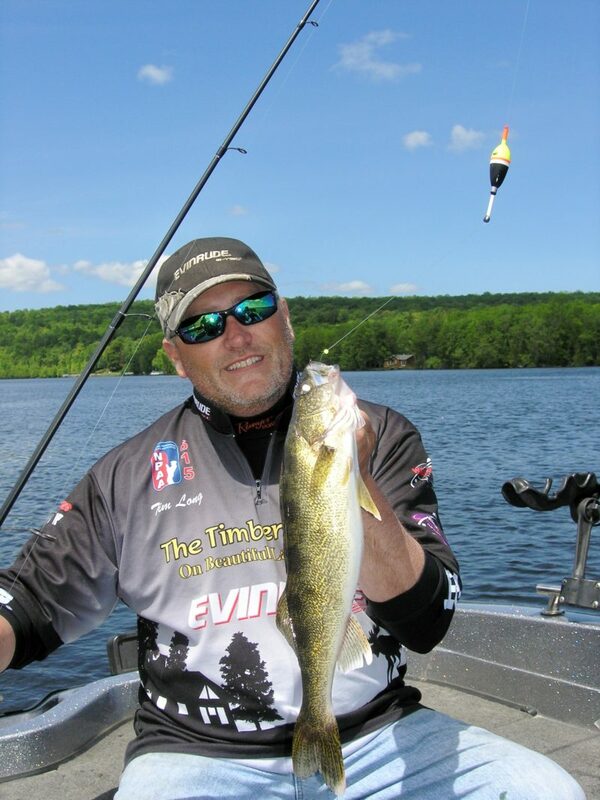 Open Water and Ice Fishing Guide Service offered as well as Grouse Hunting Guide Service with Owner, Tim Long. Ice Shanty Rentals available both portable and permanent. Boat and Motor Rentals available, Bait, and Fish Cleaning House in Spring, Summer and Fall, Two 120 ft docks, and Camping available. Pet Friendly. We are located within walking distance from 2 gas stations, a grocery store, diner restaurant - serving all 3 meals, sporting goods store, park, and more! During the winter we offer trail access to the main trails that hub in Bergland plus we have 300 feet of lake frontage. Come and experience the North Woods feeling while still being close to many amenities.